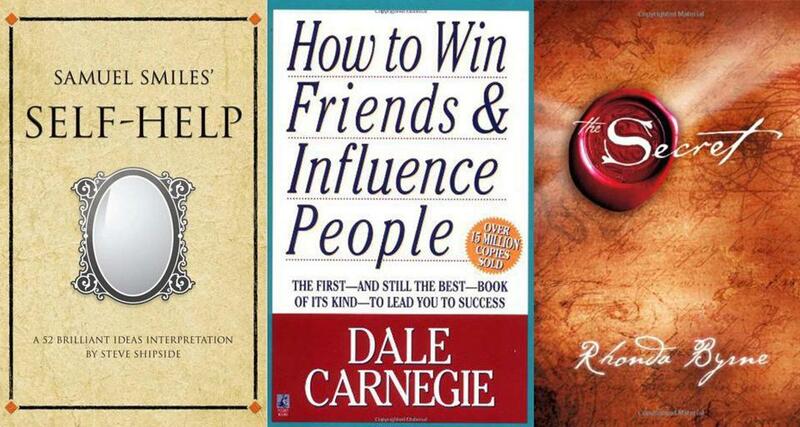 Interest in self-help books, like the titles above, typically spikes around January, as people make New Year’s resolutions and want motivation to keep them. Two weeks ago, when I danced in the new year a little too breathlessly, I decided to start improving my aerobic capacity, building muscle, and cutting way down on carbs, just like every resolution-making, pasta-loving schlub in America, the land of the gluten-free and the brave. I located a self-help book, “Wheat Belly” by Dr. William Davis, whose title spoke directly to the last few years of my life, much of which has been spent reaching into restaurant bread baskets. Just envisioning the lean, strong, self-controlled person I am meant to be felt empowering. I got a hope buzz. And someday I swear I will open that book, which sits waiting on the bathroom bookshelf on top of “You: The Owner’s Manual” by Drs. Michael F. Roizen and Mehmet C. Oz. Someday I will turn my lard belly into a hard belly. But like many of the millions who buy self-help books, in whose numbers “there is definitely a spike” after New Year’s Day, says Jim Milliot of Publishers Weekly, I will probably not change. Of the 45 percent of Americans who usually make New Year’s resolutions, according to StatisticBrain.com, only 8 percent are successful. The hope buzz, though, is worth something. In the world of self-help books, just the promise of change, the mere possibility of becoming happy, fit, rich, and making someone fall in love with you in 90 minutes or less, is at a premium. If Americans seeking self-help don’t tend to reach their goals, or even finish the books, they’re spending a lot of money on aspiration. According to a recent analysis of the self-improvement market by Marketdata Enterprises, a Tampa market research company, some $549 million a year is spent on self-help books in America, with diet books pulling in the most money. And “a significant portion of the buyers are repeat buyers.” says John LaRosa of Marketdata. Self-help culture seems built for Americans; we did, after all, declare our right to the pursuit of happiness when we broke with Britain. Self-reliance, social mobility, individualism, the search for success and pleasure — our national ideologies parallel the goals of everything from Michael J. Losier’s “Law of Attraction” to Anthony Robbins’s “Awaken the Giant Within: How to Take Immediate Control of Your Mental, Emotional, Physical and Financial Destiny!” A particularly fierce American hunger for self-actualization grew out of the 1960s and flourished in the ’70s, promising to help us realize our human potential. But self-help books existed long before this country, long before the Me Decade, as Lamb-Shapiro notes in “Promise Land”: Think ancient Egypt, where a genre called “Sebayt,” which means “teachings,” offered life coaching. Think Roman emperor Marcus Aurelius’s 12 books of “Meditations.” “The Victorians were also obsessed with self improvement,” Lamb-Shapiro says. One of their favorite books: the 1859 bestseller “Self-Help,” a collection of up-by-the-bootstraps stories by a Scot named, fittingly, Samuel Smiles that outsold its contemporary, “The Origin of Species.” The only book “Self-Help” didn’t outsell that year, Lamb-Shapiro notes, is the Bible, which is, in its own way, a kind of self-help book. Optimism as counterproductive? “Promise Land” also explores the less useful sides of positive thinking, as Lamb-Shapiro’s father was “relentlessly positive” and avoided talking about Lamb-Shapiro’s mother, who committed suicide when her daughter was 2. “It can be extremely oppressive,” Lamb-Shapiro says, “if you’re feeling sad and somebody is hurling relentless optimism at you that isn’t acknowledging how you’re feeling. It’s great if whatever they say can turn you around and make you positive, but if it doesn’t work, you’re just left with your same feeling, and on top of that you’re feeling out of synch. What, then, would be our current collective state of mind? Matthew Gilbert can be reached at matthew.gilbert@globe.com. Follow him on Twitter @MatthewGilbert.